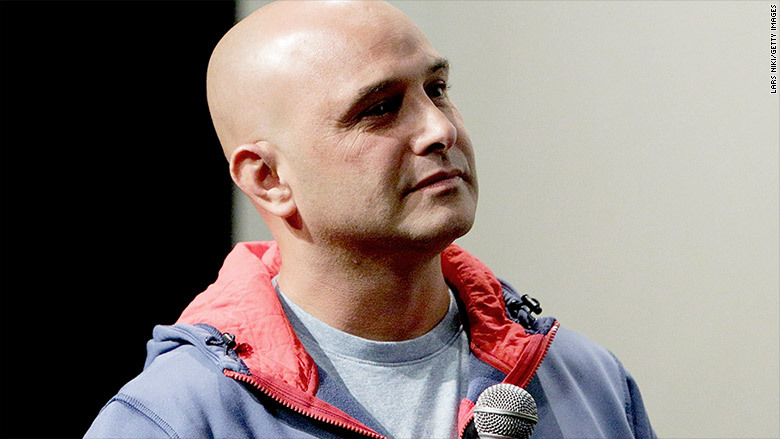 Craig Carton, the co-host of the New York morning radio show "Boomer and Carton," was arrested by the FBI on Wednesday morning. Craig Carton, the co-host of the New York morning radio show "Boomer and Carton," was arrested by the FBI on Wednesday morning and is being charged with a number of federal crimes, according to authorities. Carton is being charged with securities fraud, wire fraud, and conspiracy to commit both, according to a complaint filed in the southern district of New York on Wednesday. The complaint alleges that Carton, co-defendant Michael Wright and another man worked together "to solicit individuals and entities to invest in the bulk purchase of tickets to live events, which would be re-sold at a profit on the secondary market." The complaint further says that Carton and Wright "misappropriated those funds, using them to, among other things, pay personal debts and to repay prior investors as part of a Ponzi-like scheme." "Carton and Wright thought they could get off easy by allegedly paying off their debts with other people's money," William Sweeney Jr., who heads the FBI's New York field office, said in a statement. "We see this time and time again, the rise and fall of a Ponzi scheme destined for failure. The truth is, the time will come when your luck runs out. Unfortunately for those arrested today, that time is now." The SEC also filed a parallel action against Carton on Wednesday. "Boomer and Carton" is a popular sports radio talk show that's been broadcast on New York's WFAN since 2007. A spokesperson for CBS Radio, which owns WFAN, said in a statement that, "We are aware of the situation and are cooperating with authorities." Carton's co-host, former NFL quarterback Boomer Esiason, spoke about the charges on the show Wednesday. "I'm taken aback and surprised by it just like I'm sure everyone else is," Esiason said. "I have no other information. There's nothing else I can say. I thought he called in sick this morning, but unfortunately my partner was arrested." Jonathan Davidoff, a lawyer for Wright, told CNN in an email that, "We have had the opportunity to review the complaint. Mr. Wright denies any involvement in any criminal activity. Mr. Wright looks forward to all the facts being presented and his innocence being established." Carton's lawyer did not immediately respond to requests for comment.